Why Park Place Residences At PLQ? Unique living experiences. 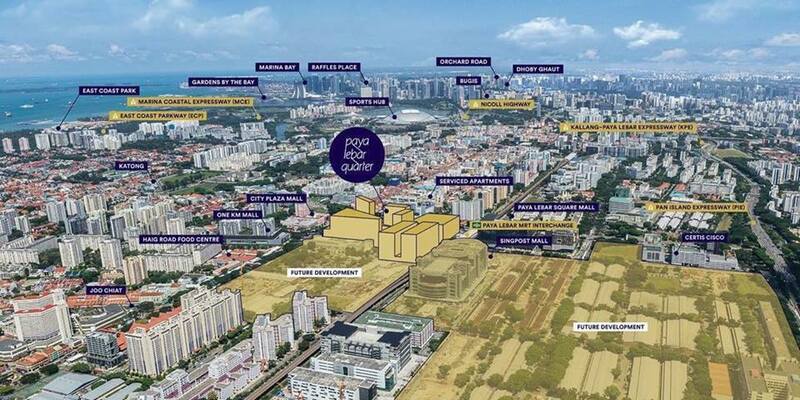 Expect activities, events, celebrations in the open spaces of Paya Lebar Quarter. Quality retail offerings, everyday conveniences and the best dining experience in the east come together. seamlessly integrated to provide the finest shopping experiences. Centrally located and in-between Central and East. both the East-West and Circle lines. Development Agency’s Lifelong Learning Institute are just the beginning of Paya Lebar Central’s transformation. 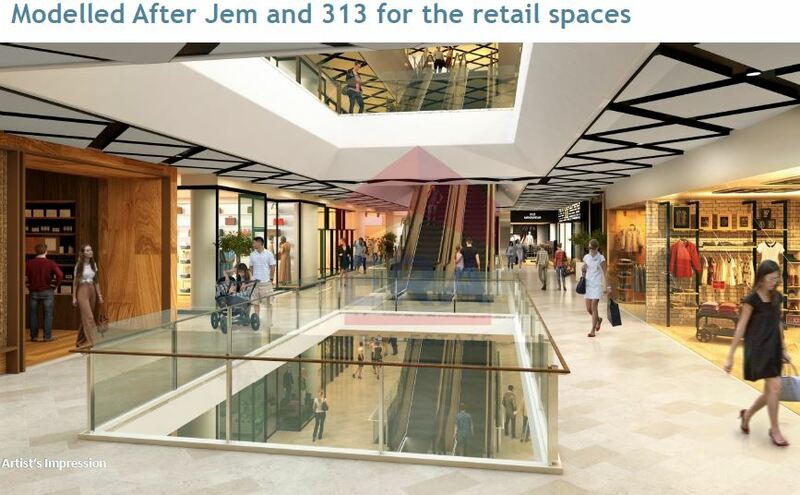 The rejuvenated area will enhance its rich Malay heritage with the Geylang Serai Market and the future Wisma Geylang Serai, as well as a ‘bazaar’ zone running along Geylang Road to facilitate annual festivities. The site is also located along a major park connector and cycling route along Geylang River, providing a secure route for cyclists to the new Stadium and the CBD. 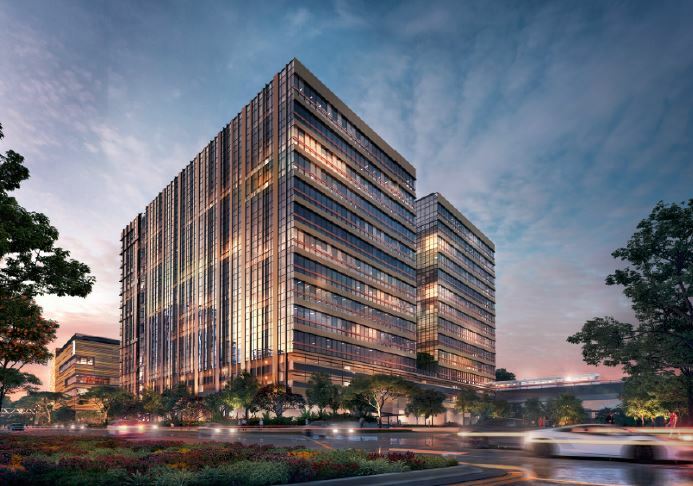 Lendlease intends to leverage its global urban regeneration expertise to develop Paya Lebar Quarter (PLQ) as the catalyst for precinct transformation. 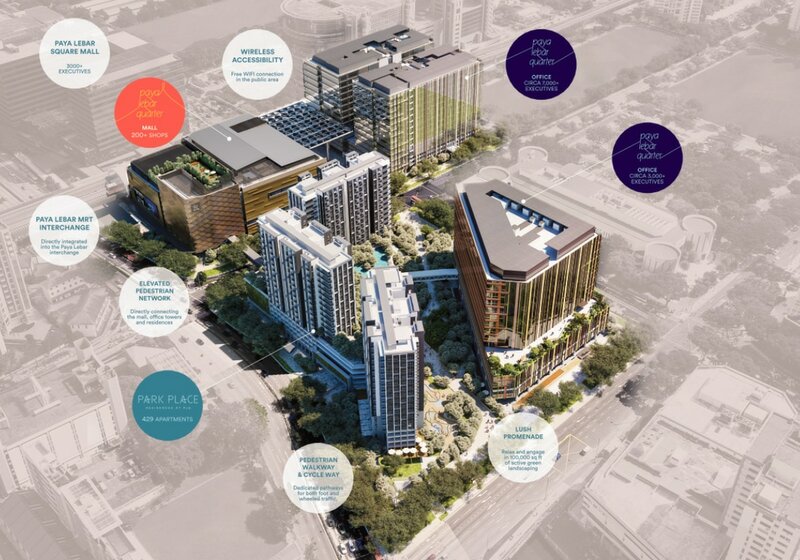 Paya Lebar Central will ultimately be the leading city fringe commercial district in Singapore, anchored by PLQ at its heart, with grade A office, significant public realm and a community enhanced by a quality, mid to mid plus retail mall and exclusive residential towers. platform to showcase its integrated business model as an investor, developer, construction company and operator who is able to take on major projects of national significance. 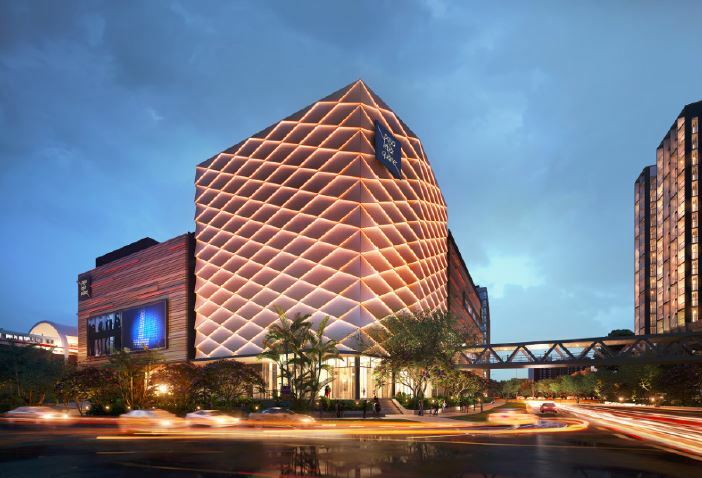 A successful development will establish Lendlease in Singapore as a major developer of commercial and retail space. It also represents its first foray into the Singapore residential market – a significant milestone in a broader strategy to increase our residential footprint outside Australia. Finally, PLQ is Lendlease’s commitment to the community to create the best places. 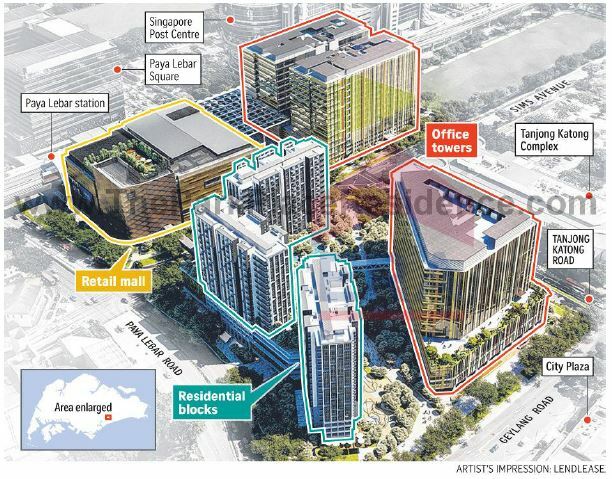 Paya Lebar Quarter extends across 4 ha of land and will deliver 1 million sqft of Grade A office, a mid to mid plus retail mall, 3 exclusive residential towers and a 100,000 sqft public realm. 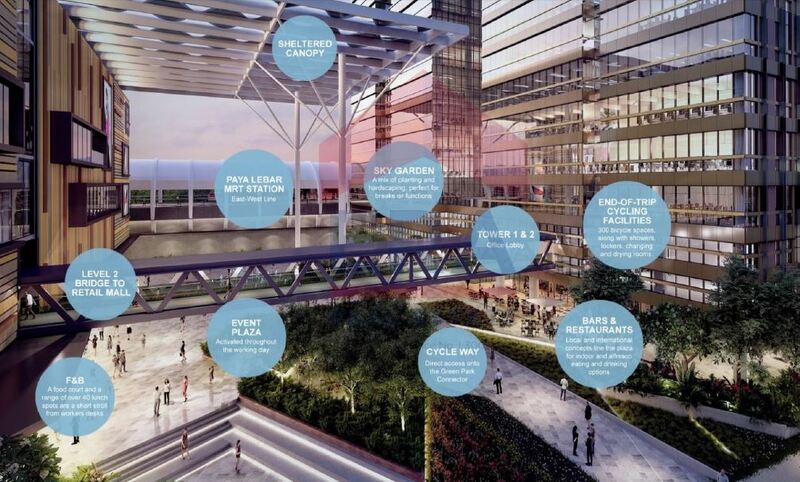 ​Paya Lebar Quarter is a centrally located new business hub providing a complete work ecosystem and flexible workplace designs that enables progressive companies to create synergy so as to promote knowledge sharing, innovation and collaboration. This ecosystem integrates work with other human activities to connect people beyond their workspace, at various cultural, recreational and nature spots for the benefit of a social, happy, healthy and productive workforce. in the east come together; a seamlessly connected destination where endless moments of discovery can be enjoyed from indoors to outdoors. Comprising over 340,000 sqft of retail and experiential parkside dining, this landmark development will have over 200 shops, 100,000 sqft of generous green public spaces including a 20,000 sqft outdoor covered plaza all seamlessly integrated to provide the finest shopping experiences. 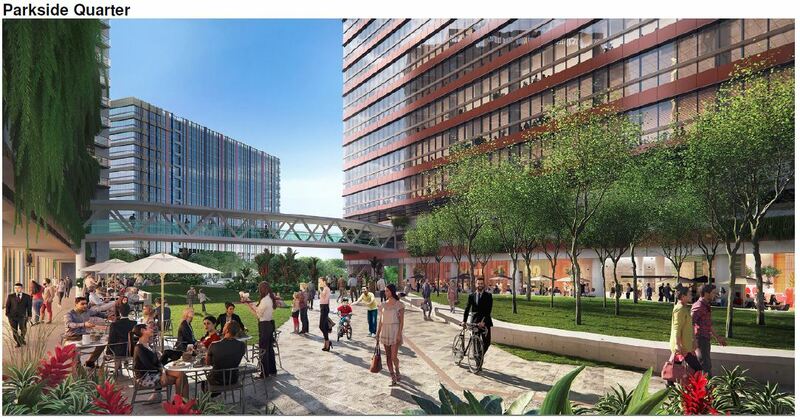 ​The generous and well-designed green public space at Paya Lebar Quarter allows the community to engage in a diverse range of activities, and the vast, open spaces where they can relax and mingle makes Paya Lebar Quarter a vibrant, evolving place and a “living fabric” of society. PARK PLACE RESIDENCES - Residential: A private sanctuary in a vibrant and centrally located city precinct. Your Home in a vibrant Eastside neighbourhood, effortlessly connected, where you can discover life in a heartbeat. Together, we create the Best Places for generations to enjoy. Set in centrally located Paya Lebar Quarter, Park Place Residences offers residents a luxurious, private sanctuary within a bustling city precinct. Residents can look forward to a vibrant, connected city lifestyle, as well as easy access to a myriad of amenities. A centrally located home with superb connectivity – do you know that the average Singaporean spends 80 minutes in commute on a workday? This adds up to 441 days* of your life! 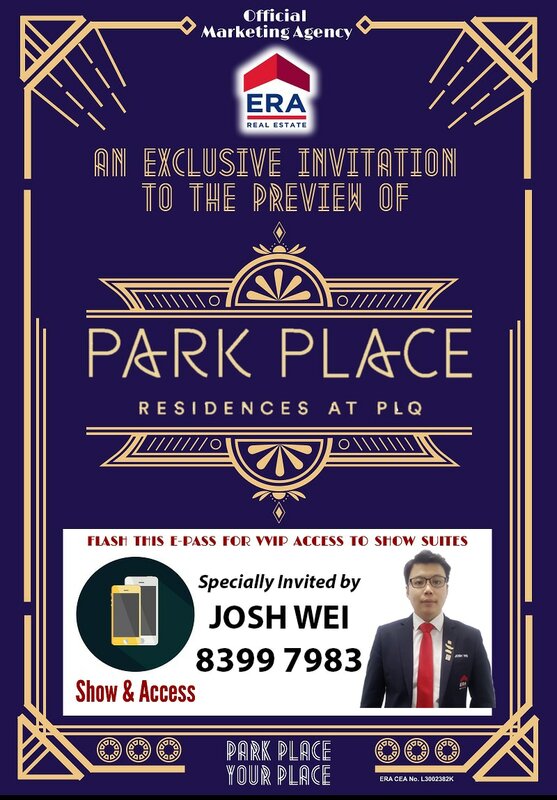 Please contact me @ 8399 7983 or via below for more information on ​Park Place Residences. 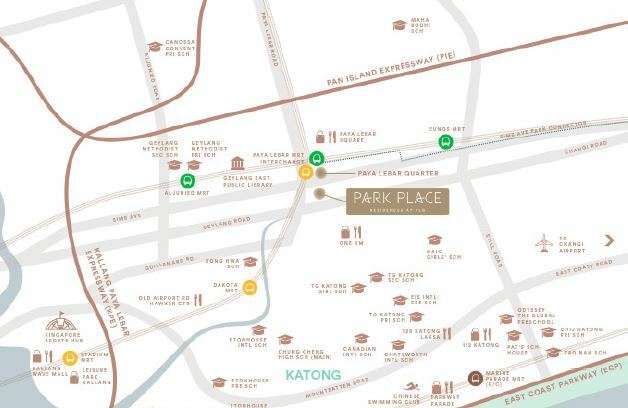 Schools that is within 1 km from Park Place Residences.